Miao Song, Chief Information Officer, Johnson & Johnson and Nyan Tun Zaw, IT Executive (e-Services), BH Global Corporation Ltd and Subramanian Gopalaratnam, Global Head of Innovation, Xchanging provided the Keynote Panel Discussion on,”Tactical Solutions To The Talent Gap – Rethinking Our Approach,” which was moderated by Barb Dossetter, EVP Advisory Services, CIO Connect at today’s CIO Leaders Summit Singapore. Session Synopsis: The future depends on our technology talent and how we work with them Two CIOs and a young IT person discuss different approaches to the way we find, train, organise and motivate IT staff today with an eye to the future – a future that is offering organisations huge business opportunities driven by new technologies, while still needing to keep legacy systems going. We will discuss the effect of the ‘production line’ type of development now used by many organisations, its challenges and alternatives that may provide better outcomes. Digital is on everyone’s mind. How do we deliver a digital strategy with current staff? What is the journey for the staff and the organisation? What do the new entrants into IT value? What attracts them to particular organisations – particularly if the organisation is not a ‘cool brand’? What keeps them there and engaged? Let’s hear from one of them. At the end of this session, we expect that attendees have ideas to consider as they develop their talent strategy for 2016 and onwards. Miao Song, Chief Information Officer, Johnson & Johnson. Miao Song has more than 20 years’ experience in the IT industry spanning across different areas of expertise including IT operation, application development, strategic planning, IT management and governance etc. She has international experience of working in different locations in China, Switzerland, the Netherlands and Singapore taking on local, regional and global senior IT management roles. Prior to her current role, she was with Golden Agri-Reources as Group CIO, and with Royal Dutch Shell for more than 14 years taking several roles in different IT domains. Before joining Shell, she worked for Nestlé, one of the largest food companies in the world, as ERP Implementation Manager for more than 4 years. Subramanian Gopalaratnam (Mani) has been heading the architect team in Xchanging for over a decade and holds the position of Global Head of innovation and technology. He has over 27 years of experience in providing IT solutions, architecting and leading technology teams. He has been providing architecture, design and consultancy services for Logistics, Manufacturing, Telecommunication, Banking, Insurance & Capital markets business sectors. He holds Masters Degree in Mathematics and Computer Science. He has been successful in implementing, integrating and extending end to end solutions for BFSI, trade, discreet and process industries, logistics, telecommunications and has experience in SAP, Oracle EBusiness Suite, SCALA, JD Edwards and PeopleSoft. His key customers in ERP solutions are Merck, BASF, AET, DHL, Johnson & Johnson, GE Polymerland, SG Securities and AGCS. He is currently looking after the enterprise customers segment that includes SIA, AET, ISS, YTL, AON, CBRE and Merck. He has a wide technology expertise from Mainframes (IBM, Simens), Midrange (IBM, HP) and Server Technoogies (IBM, Oracle, Microsoft, RedHat, JBOSS) and has end to end implementation knowhow from Portal front end, business middle wares and backfoffice systems. He has also been involved in Capabilty Planning, Infrastructure management and cloud / massive transaction system configurations. His current interests include IT Architecture Strategies, Team Building, SOA based legacy migration, Big Data and Internet of Everything . Barb Dossetter, EVP Advisory Services, CIO Connect. Working in and across Asia Pacific, Europe, North America and South Africa, Barbara has held a variety of senior commercial roles in companies such as MSA, Walker International, Tetra, Unisys, Pacific Systems, Gartner and Corporate Executive Board prior to joining CIO Connect in the UK. She has held senior leadership roles as Head of Practice, Head of Delivery and Head of Development. During her career she has implemented more than 500 ERP systems as programme director, project manager or subject matter expert. As an early mover in the SaaS market place, she led the design, development and release of one of the first successful solutions in this area. 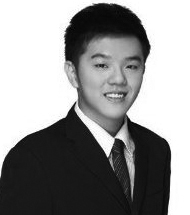 Nyan Tun Zaw, IT Executive (e-Services), BH Global Corporation Ltd. Nyan Tun Zaw is the IT Executive of BH Global Corporation Ltd, an SGX mainboard listed company providing solutions ideal for Marine, Offshore and Oil & Gas sectors. He is mainly responsible for developing and maintaining various corporate websites for BH Global and its subsidiaries, as well as improving the in-house enterprise applications and the e-commerce solution. He is also a consultant for Athena Dynamics Pte Ltd, a subsidiary of BH Global that specializes in sourcing practical technologies that have already been deployed and proven in its country of origin, with the current focus on Stringent & Critical IT Infrastructure Protection. Nyan Tun Zaw holds a Bachelor of Business Management, with double majors in Finance and Information Systems, from Singapore Management University.